Mushrooms are a complicated food. People tend to either love or to hate them. Some mushrooms have been recognized by many civilizations for having miraculous medical properties. Other mushrooms can kill you. One could even say that mushrooms are polarizing. 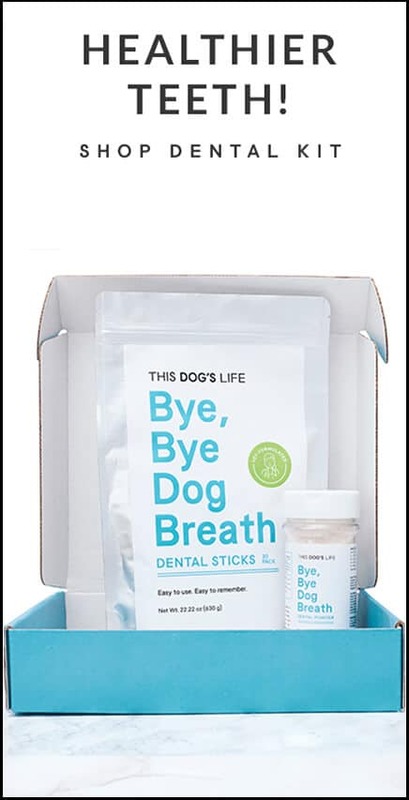 But what about dogs? 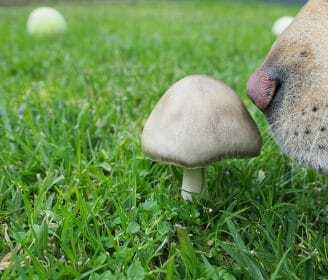 Do mushrooms have any health benefits for dogs? 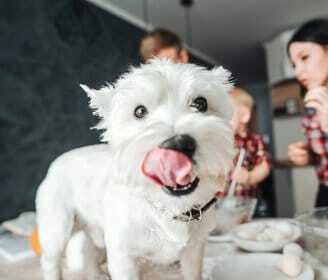 Would dogs even want to eat them? The answer to all of those questions is…it depends — both on the dog and on the mushroom. 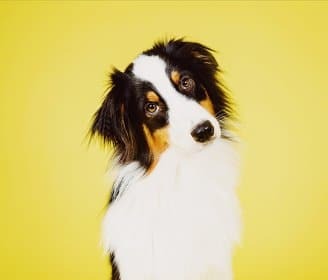 Some dogs would pick them out of their food and leave them behind as if they’re offensive. Other dogs might hover them up as a rare delicacy. 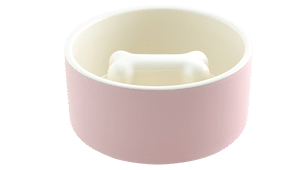 But are they healthy for your pup? There’s an important difference between wild and store-bought mushrooms. Those you buy in the grocery are safe to eat. And while there are wild mushrooms that are perfectly safe, there are others that could kill your dog, and quickly. 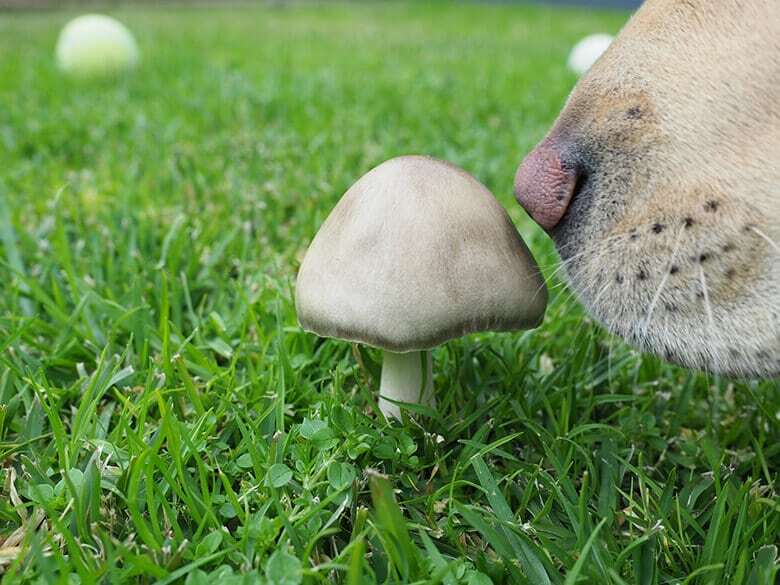 To be on the safe side, your dog should never eat a mushroom found in the wild — or your backyard. 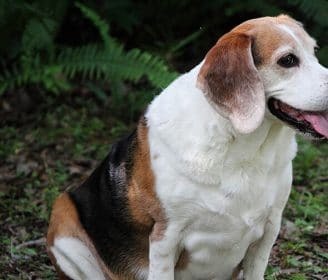 In fact, in March 2019, two dogs were found dead in a backyard after eating Death Angel (Amanita virosa) mushrooms that were growing there. Sticking to mushrooms you can buy in a store, let’s look at some of the potential health benefits. The white button mushroom (agaricus bisporus) is the one most commonly cultivated worldwide. And there’s a reason for that. The plain Jane of the mushroom genus is a rich source of nutrients including carbohydrates, proteins, lipids, fibers, minerals, and vitamins, as well as amino acids, fatty acids, and antioxidants. White button mushrooms, also known as champignon mushroom, have high levels of niacin and riboflavin, which are both vitamin Bs, that support the health of the skin and help break down sugar and fats into energy. 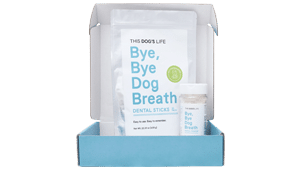 They also have been shown to suppress odor-causing chemicals in the intestines, preventing bad dog breath at the source (a big reason why we include in our Bye, Bye Dog Breath sticks). 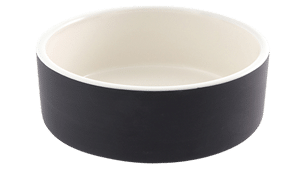 Research has shown that the white button even has anti-cancer and anti-inflammatory properties. These mushrooms are actually the same genus as the white button, but the crimini has been harvested after the cap has expanded and the brown gills are visible, while the portobello is the most mature version of agaricus bisporus. They all have similar nutritional content with some slight differences. While white buttons have vitamin C, crimini mushrooms do not. Criminis have more calcium, potassium, and selenium. Selenium is a trace mineral with antioxidant properties; potassium is called a “macro mineral” because the body needs large amounts. 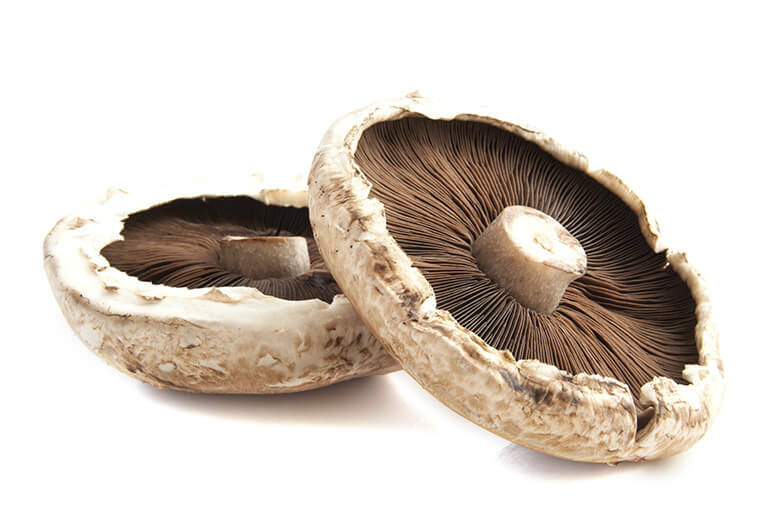 Portobello mushrooms have significantly more riboflavin and niacin, which support good skin and coat health and help the body generate energy. The maitake mushroom (grifola frondosa), along with the reishi and shiitake, belong to a group of mushrooms considered to be medicinal. Called the “dancing mushroom” because it grows in overlapping groups that resemble butterflies dancing, the maitake is also considered a medicinal mushroom with anti-cancer properties. 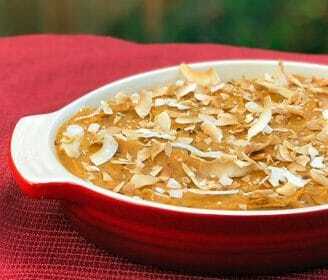 It contains polysaccharides, which support the immune system and inhibits tumor growth. 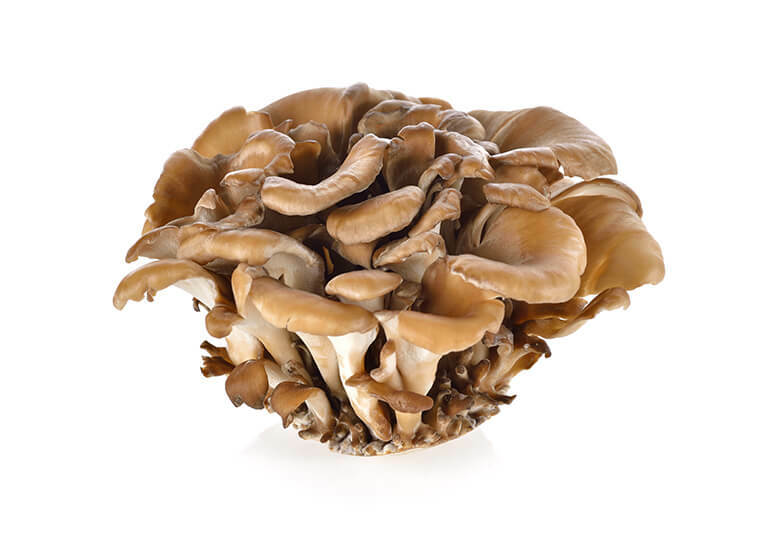 Maitake mushrooms also contain beta-glucan as well as polysaccharides, which stimulate the immune system and help prevent diseases and inhibit tumor growth. They also contain minerals and vitamins including vitamins B, C, D, and E, and a long list of minerals, proteins, and amino acids. 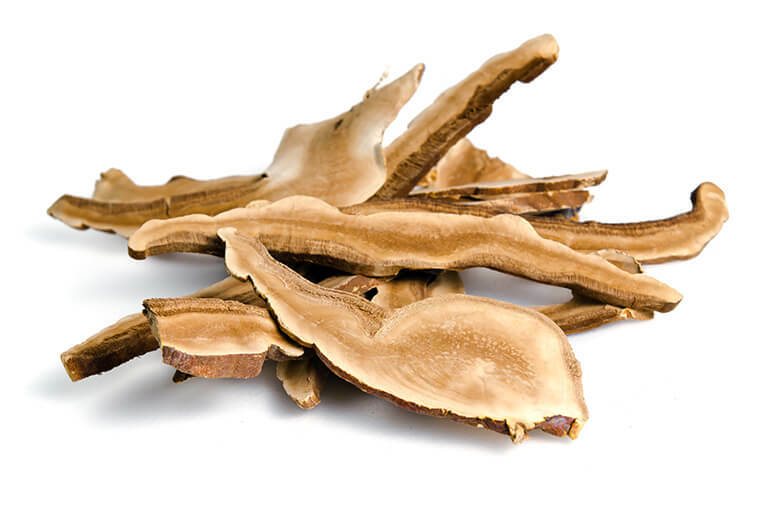 Known as “The Herb of Mortality,” the reishi mushrooms (ganoderma lucidum) contain substances called polysaccharides, triterpenes and lysosomal enzyme. Polysaccharides stimulate the immune system and reportedly have anti-cancer properties. Lysosomal is an antibacterial, and triterpenes has anti-allergy, antioxidant, and anti-hypertensive effects. Reishi also contains more germanium than any other mushroom; it supports the utilization of oxygen in the blood and is helpful for keeping the heart healthy. 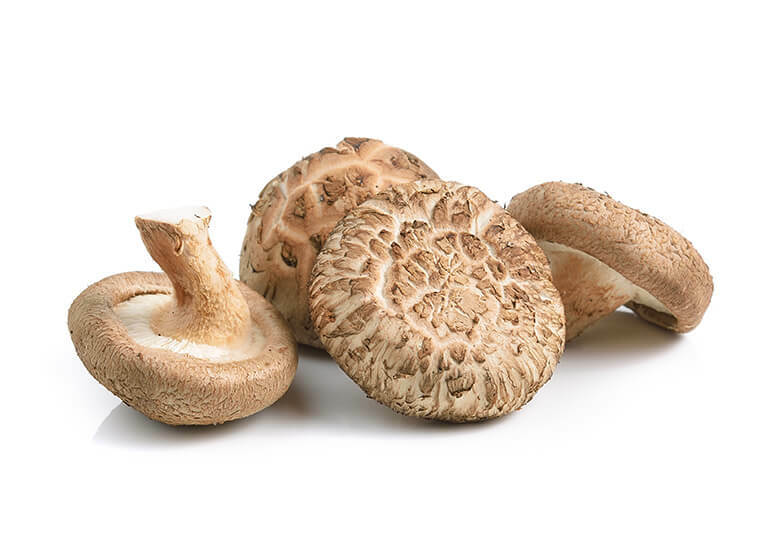 Shitake mushrooms (lentinula edodes) are known in Japan as the “Elixir of Life” because of its energy enhancing properties and its ability to stimulate white blood cells and support circulation and the immune system. 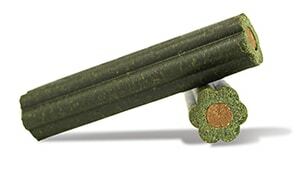 Shitakes also have the ability to impede tumor growth. Shitake mushrooms contain 30 enzymes, 10 amino acids, and high levels of many vitamins including folate and niacin, and minerals including calcium, zinc, potassium, phosphorus, magnesium, iron and selenium. 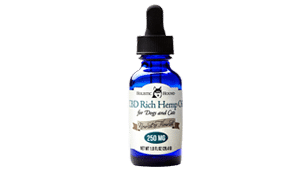 They can be used to reportedly relieve the side effects of chemotherapy and radiation, lower blood pressure, reduce allergies and treat Cushing’s disease, also known as hyperadrenocorticism. 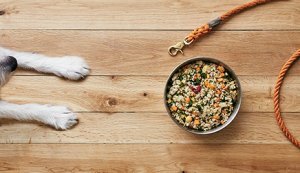 Mushrooms can be a powerful superfood to help your dog with a number of conditions, but with anything, it is important to consult with a professional before introducing into their diet. 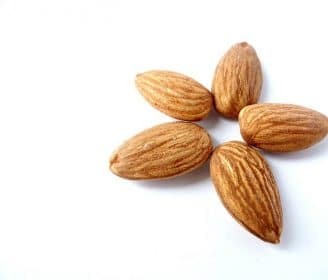 Related: Going Nuts: Can Dogs Eat Almonds?